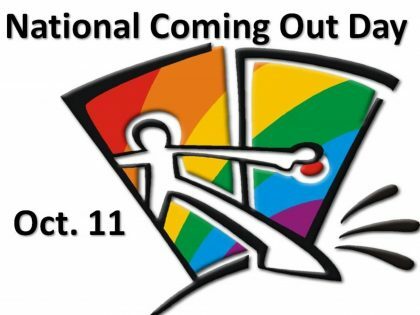 Every October 11 on Coming Out Day, people around the nation step forward in support of LGBTQ+ civil rights. Whether you are lesbian, gay, bisexual, transgender, queer, self-identify in other ways, or come out as a straight ally, raise your voice and your pride October 11. Read more on the UUFRC website about this LGBTQ+ Day of Awareness.